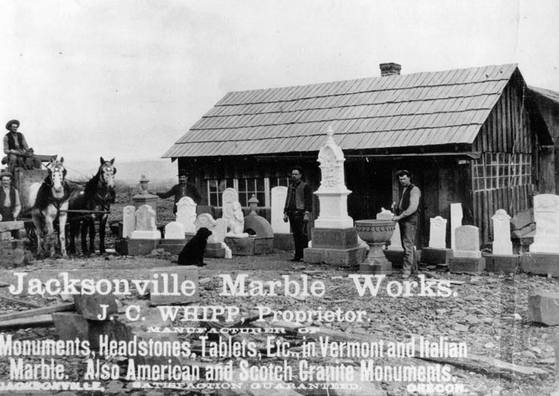 Pioneer Profiles | Historic Jacksonville, Inc. In the mid-1800s, the promise of gold and free land lured fortune seekers and settlers to the newly formed Oregon Territory. They were soon followed by merchants who amassed their own wealth selling supplies to the miners and farmers. This ongoing series appears in the Jacksonville Review newspaper and shares the stories of these pioneers and their times. Aunty” Zany Ganung is a Jacksonville legend. 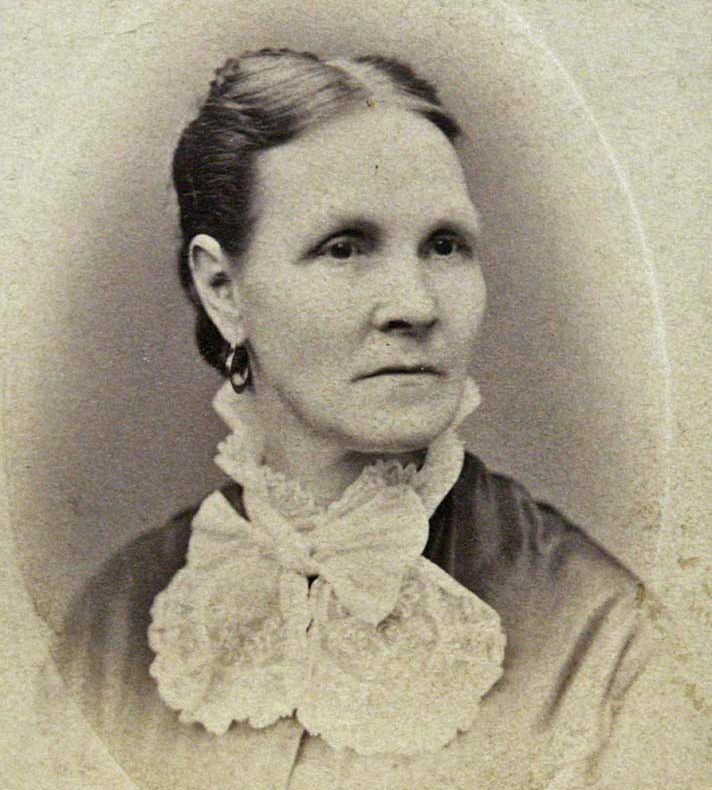 According to that legend, Zany returned to Jacksonville in May of 1861 after an “all-nighter” nursing one of her physician husband Lewis’s patients. What did her weary eyes behold but the Confederate Palmetto flag hoisted on a California Street flagpole across the street from her house! … Read more. 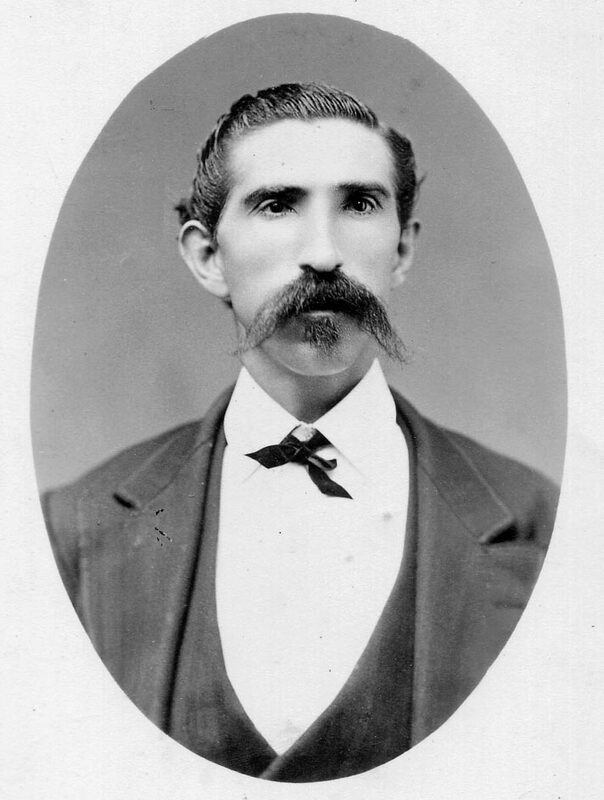 Born in Missouri in 1845, Colvig had crossed the plains to Oregon at age six. 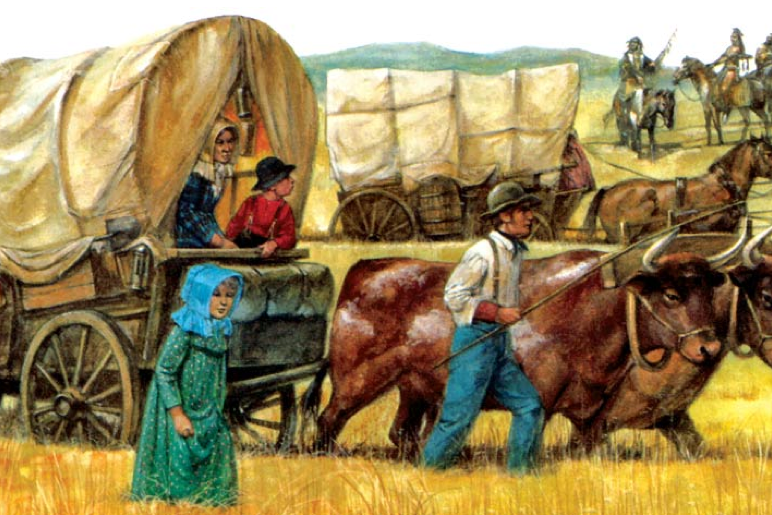 An ox-drawn covered wagon was his alma mater with his mother teaching him to read during the five and a half months they sped “dizzily over the plains at the rate of 10 or 12 miles a day.” His father staked a land claim on the Umpqua near Canyonville and Colvig grew up with Indian children as playmates. … Read more. 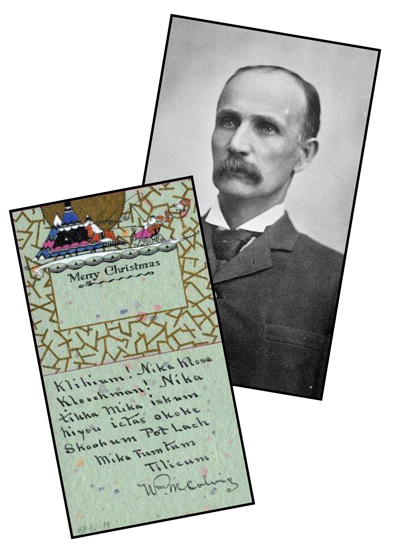 William Mason Covig’s Christmas greeting is written in Chinook, the “trading language” used between immigrants and the indigenous people of the Pacific Northwest until around 1900. Colvig professed to have been more fluent in Chinook, the language of his childhood playmates, than in his native English. Born in Missouri … Read more. 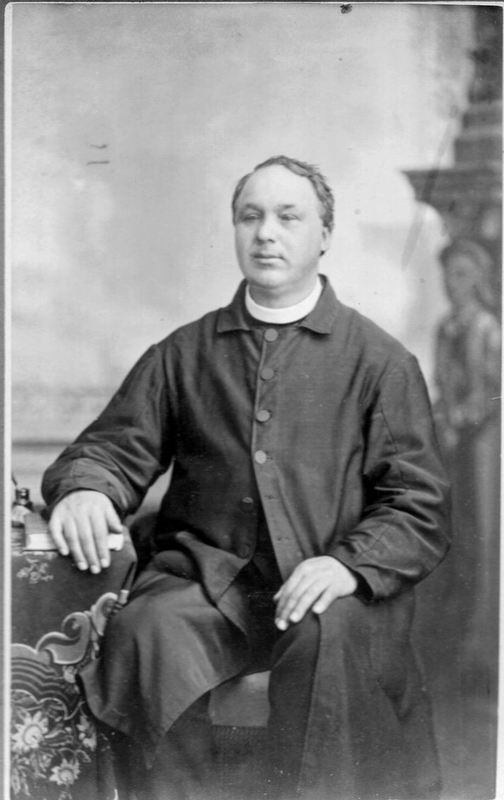 Father Francis Xavier Blanchet: Minister to All! On September 22, 2018, the Friends of St. Joseph’s are hosting “A Bid for History”—a dinner and auction to support the ongoing care and preservation of Jacksonville’s classical 1868 Catholic Rectory, a significant piece of local history. However, it only became the Catholic Rectory in 1875 when Reverend Francis Xavier Blanchet purchased the property.. … Read more. 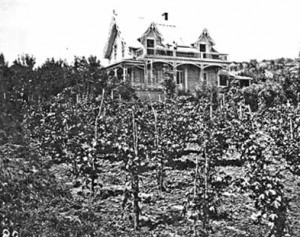 Early settlers recognized the Rogue Valley’s potential for grape and wine production long before the World of Wine, now the Oregon Wine Experience, began celebrating the award-winning varietals being produced in the region’s many micro-climes. 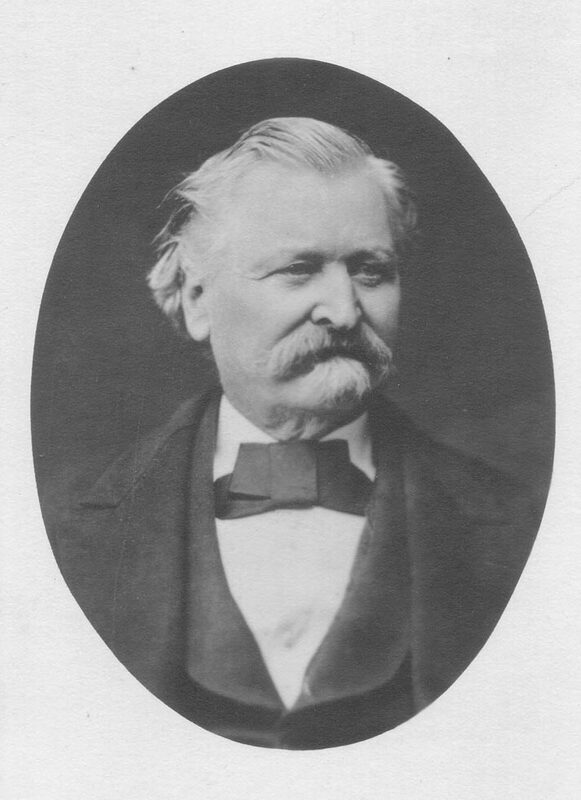 As early as 1854, Peter Britt, the father of Southern Oregon’s wine industry, planted his first vineyards. Colonel J.N.T. 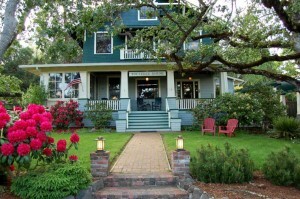 Miller boasted 20 acres of vineyards and 20 varieties of grapes. … Read more. 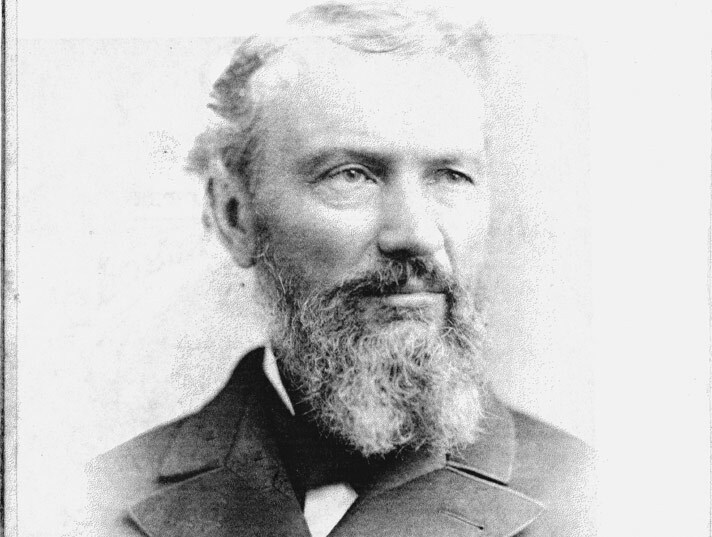 Among the Rogue River Valley’s early settlers, there was no more extensive land owner than William Bybee. 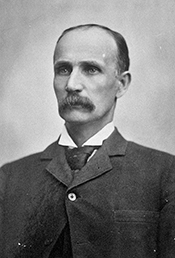 According to the 1904 Portrait and Biographical Record of Western Oregon, Bybee could claim “the distinction of having owned at different periods more than half of Jackson County” and his interests were characterized as being synonymous with the region. Bybee had come a long way from his roots. … Read more. 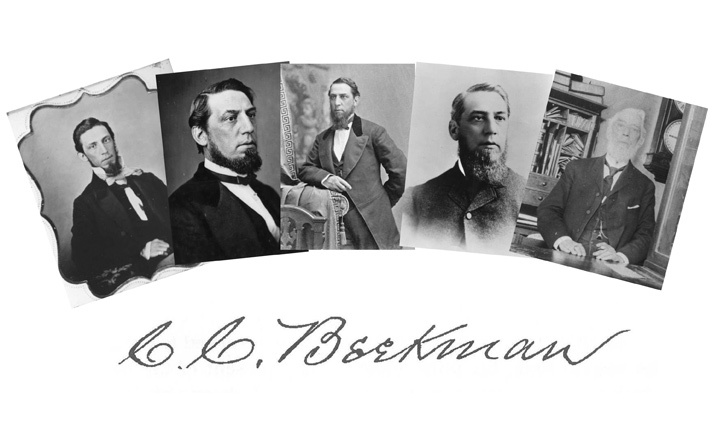 … beginning in 1887, when Thomas G. Reames joined Beekman as a full partner, it became the Beekman and Reames Banking House, and remained so until Reames’ death in 1900. During much of that period, Reames was the face clients would see behind the counter as family business took Beekman on extended trips to the East Coast. … Read more. 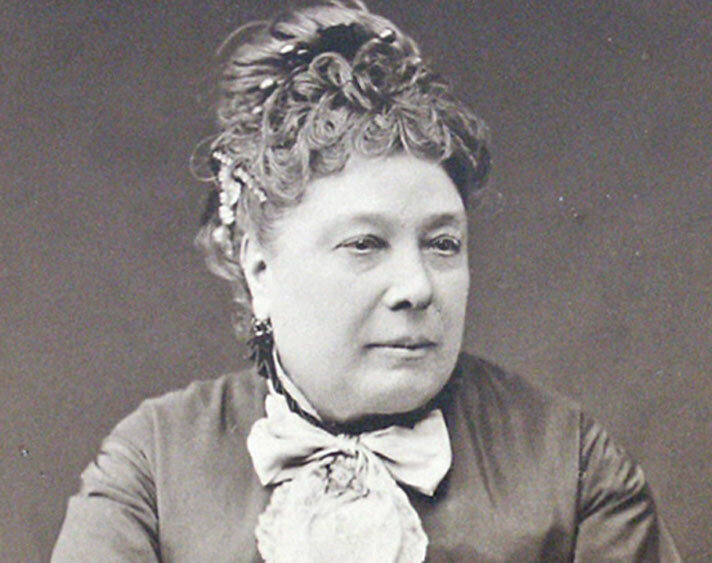 A woman’s role was considerably different in the 19th Century. It was a “man’s world.” But while subject to male dominance, women usually ruled the home, considered by society as their “natural sphere.” Some prevailed in both worlds. …. Read more. As the tide of immigration is flowing towards this country, and many are leaving the good old Keystone to seek a home in the Far West, a voice from Oregon might not be uninteresting to your numerous readers—the world, I might say—for through your columns, …. Read more. By October of 1852, he and his men were no longer needed—winter was approaching, wagon trains had ceased coming, and it was time for Ross to return home to Jacksonville. 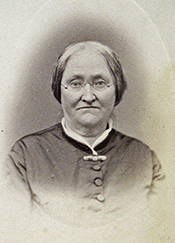 There was also an additional incentive—a young lady named Elizabeth Hopwood., …. Read more. When we left Colonel John England Ross in our August 2017 Pioneer Profile, he had barely avoided eating crow…literally. After finding gold near Sawyer’s Bar on the Klamath River in California in 1850, he had been wounded in a skirmish with Indians and had his horses stolen. By the time prospectors found Ross and his companions, …. Read more. Ross Lane, which meanders through the Valley floor just north of Jacksonville, demarcates some of the former land holdings of Colonel John England Ross. 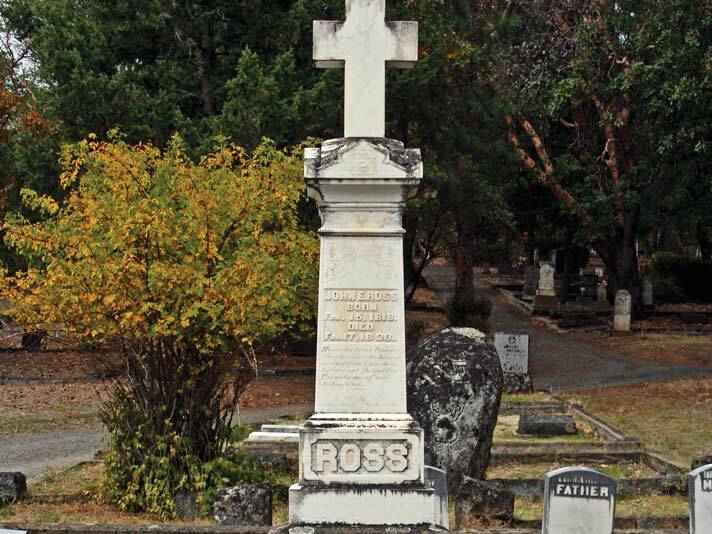 Ross, who gained his title and his reputation as an Indian fighter during Oregon’s various Indian wars, is an enigmatic character. His first marriage was to a half-breed member of the Menominee tribe in Illinois. And by virtue of his military authority, …. Read more. Well into the 20th Century, the Fourth of July was a bigger U.S. holiday than Christmas. Long before Congress declared July 4th an official holiday in 1870, John Adams had written to his wife Abigail shortly after the signing of the Declaration of Independence … Read more. Gold rush Jacksonville reputedly had as many as 36 saloons when “entrepreneurs” as well as miners arrived in Jacksonville following James Clugage’s and James Poole’s discovery of gold in the winter of 1851-52. Read more. For most of her brief life, Regina Dorland Robinson worked steadily toward one goal: to become an accomplished and successful artist. She studied and practiced technique, experimenting with multiple mediums and styles. 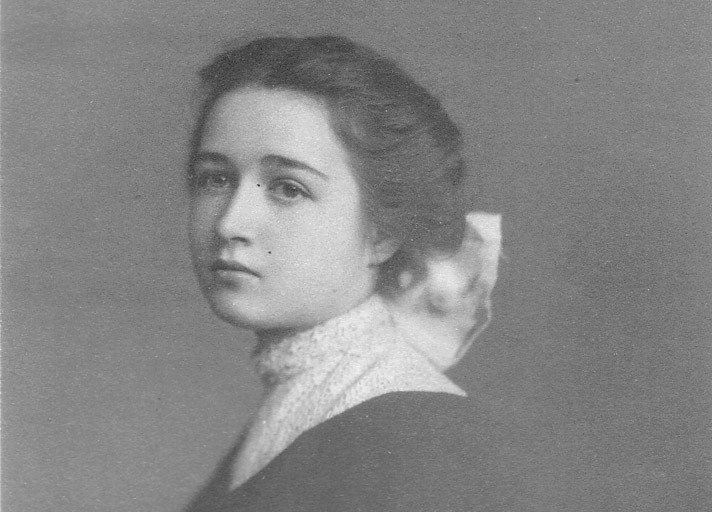 By 1916, at the age of 24, she had gained a confidence and competency that gave her work its inspiring uniqueness. Read more. 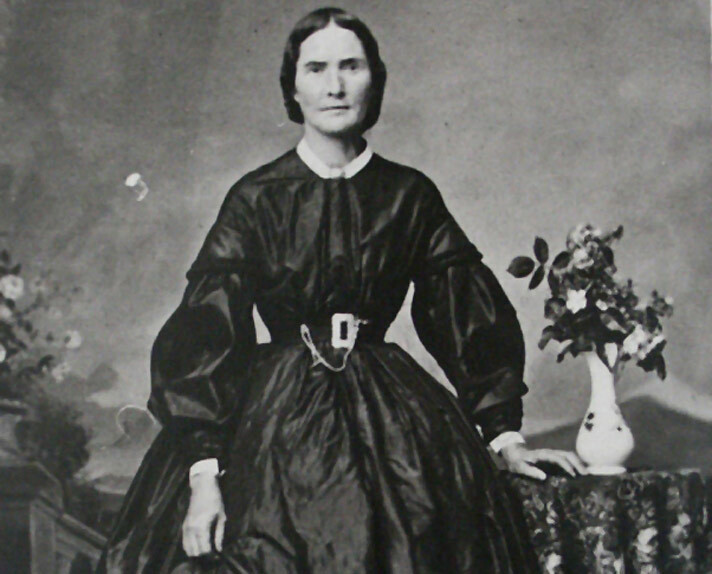 Although hotel proprietress Jeanne DeRoboam Laugier Guilfoyle Holt (see Pioneer Profiles, March 2017)was the most prominent of the DeRoboams to settle in early Jacksonville, her brother, Jean St. Luc DeRoboam, also left his mark on the town. … Read more. 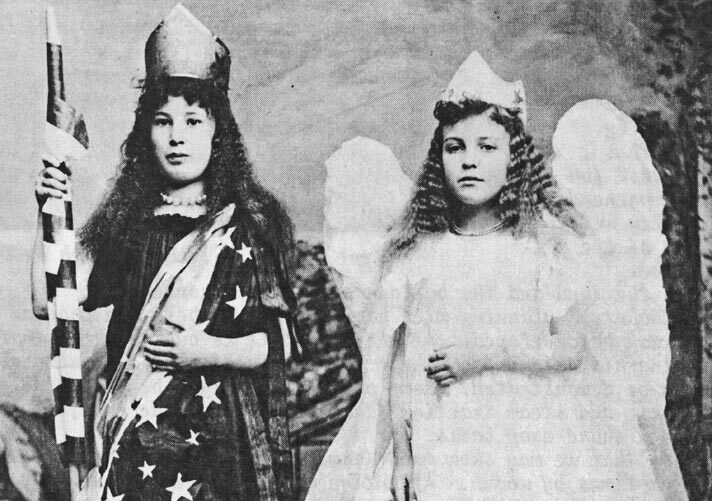 The small, relatively plain, headstone in the Catholic section of the Jacksonville Cemetery simply reads Jane Holt—an ironic “grand finale” for Madame Jeanne DeRoboam Laugier Guilfoyle Holt, one of the larger-than-life … Read more. Prim’s beginnings were inauspicious. 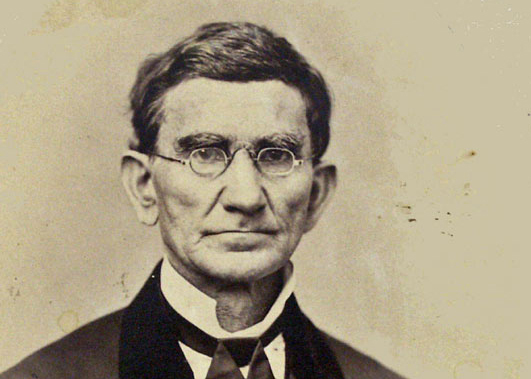 He was born in Wilson County, Tennessee, on May 2, 1822, the son of a poor farmer who died when Prim was a boy. As a “man of the family,” he had his mother Read more. With the move of Jacksonville’s City offices into Jackson County’s historic courthouse building on North 5th Street, it seems appropriate to focus this month’s Pioneer Profile on Silas J. Day, the County Judge who Read more. 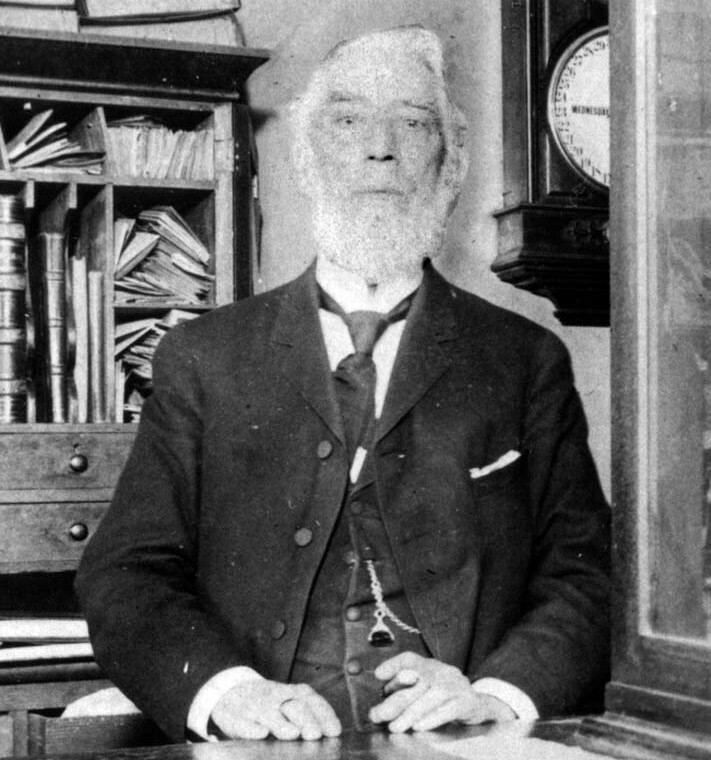 John Wilmer McCully was born in 1821 in St. George, New Brunswick, Canada. When he was one-year-old, his family moved to Ohio where John grew up. He too was well-educated. When he moved with his family to Iowa in 1844, he attended medical school and joined the practice of an established local doctor. Read more. 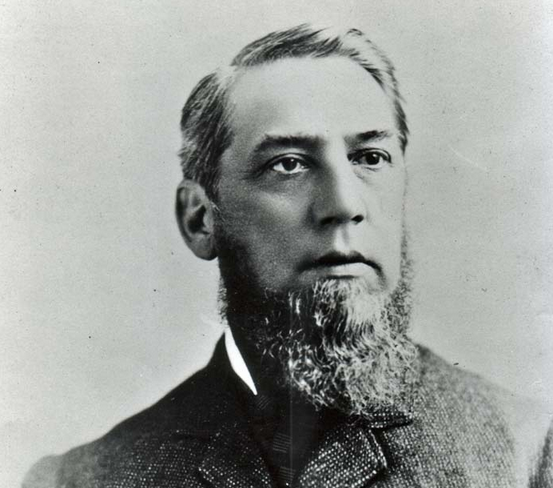 John Wilmer McCully was born in 1821 in St. George, New Brunswick, Canada. When he was one-year-old, his family moved to Ohio where John grew up. He too was well-educated. 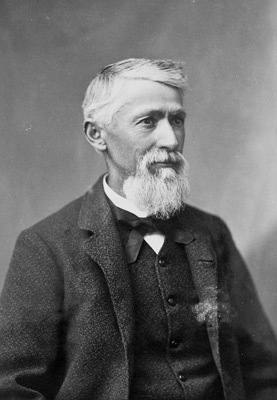 When he moved with his family to Iowa in 1844, he attended medical school and joined the practice of an established local doctor. John was well-mannered-—even gallant—but also sensitive and indecisive … Read more. Last month we looked at the early years of Benjamin Franklin Dowell, great, great nephew of Benjamin Franklin and a pioneer Jacksonville resident, in his role as attorney, packer, and claims collector. This month we’ll visit a more established Dowell as he becomes a Washington lobbyist and a newspaper publisher. 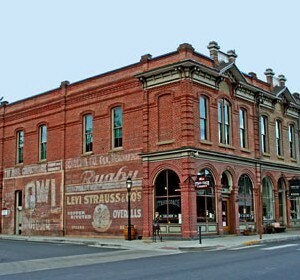 Dowell had opened a legal practice in Jacksonville in 1856 after four years running pack trains carrying goods to the mining centers of Northern California and Southern Oregon. When the Indian Wars broke out,… Read more. 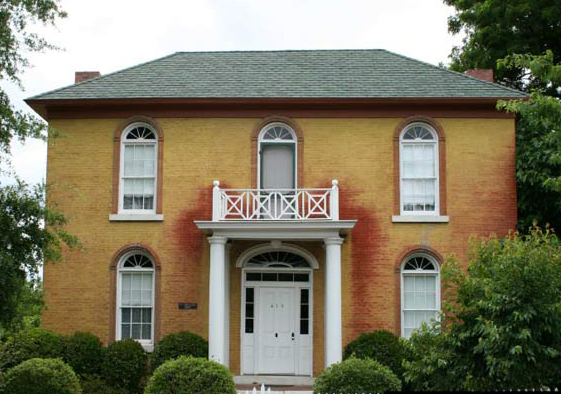 With the 1861 B.F. Dowell house being a featured home on the Jacksonville Boosters Club’s Historic Home and Garden Tour this month, it seems appropriate to focus our Pioneer Profile series on Benjamin Franklin Dowell. Dowell, a great, great nephew of Benjamin Franklin through his paternal lineage, was named for this noted ancestor. … Read more. Jacksonville Pioneer George Francis Schumpf was the most successful and longest established barber, operating his barber shop at 157 West California Street from the time he purchased the original building in 1873 until his death in 1897. 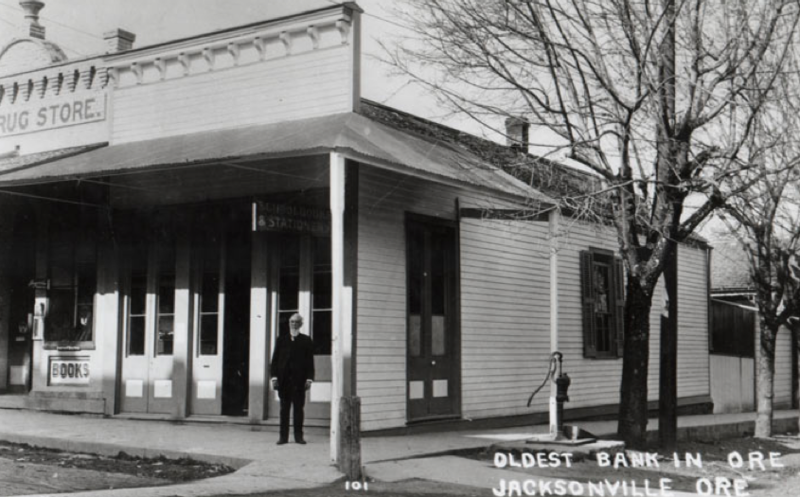 The site itself appears to have housed a Jacksonville barber from the early 1850s … Read more. 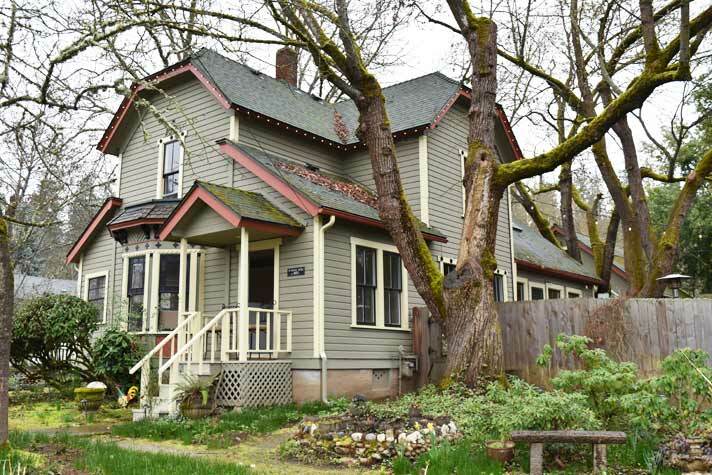 The Judge Frank TouVelle House, located at 435 North Oregon Street in Jacksonville, is considered one of the best examples of Craftsman-style … Read more. 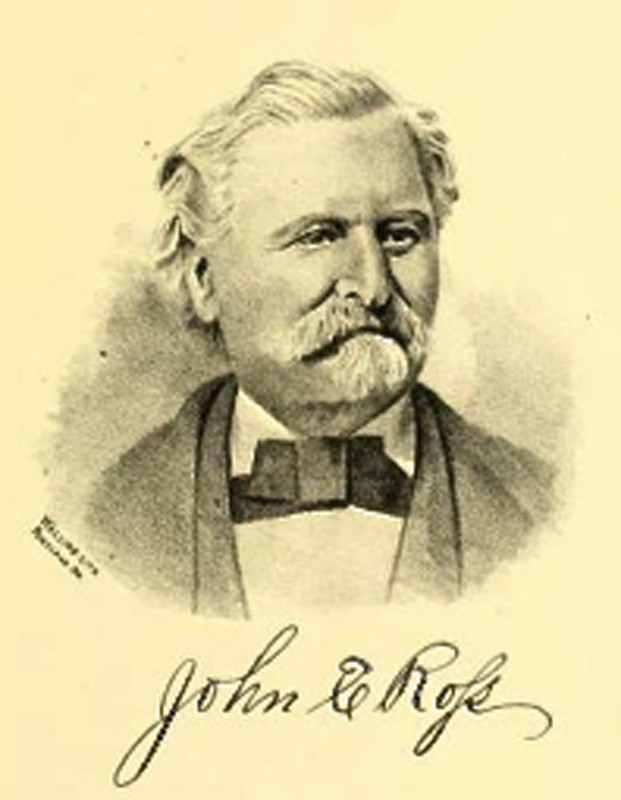 When William Hoffman arrived in Jacksonville in the fall of 1853, he brought his own gold—six marriageable daughters, a treasure indeed to the many bachelors who had been lured to the Rogue Valley … Read more. 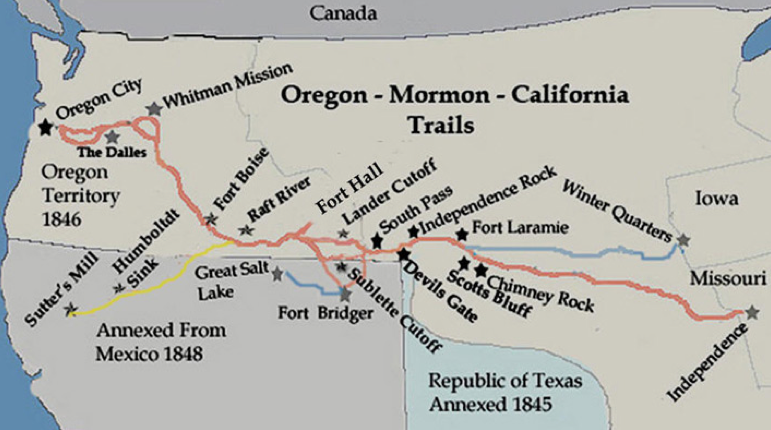 From 1843 to the completion of the Transcontinental Railroad in 1869, some 500,000 emigrants traveled the Oregon Trail to the “promised land” of the Oregon Territory and California in search of land, … Read more. 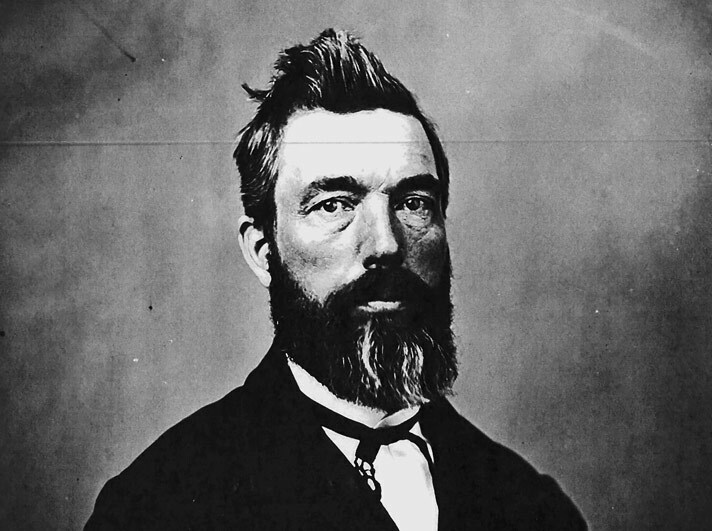 California and the Oregon Territory seemed like the “promised land” to individuals in the eastern half of the United States dreaming of riches, adventure, or better lives. But first they had to get here. … Read more. As you tour Jacksonville’s Historic Cemetery during “Meet the Pioneers” on October 9th or 10th, or wander among the tombstones on other occasions, you can’t help but notice the elaborate markers … Read more. 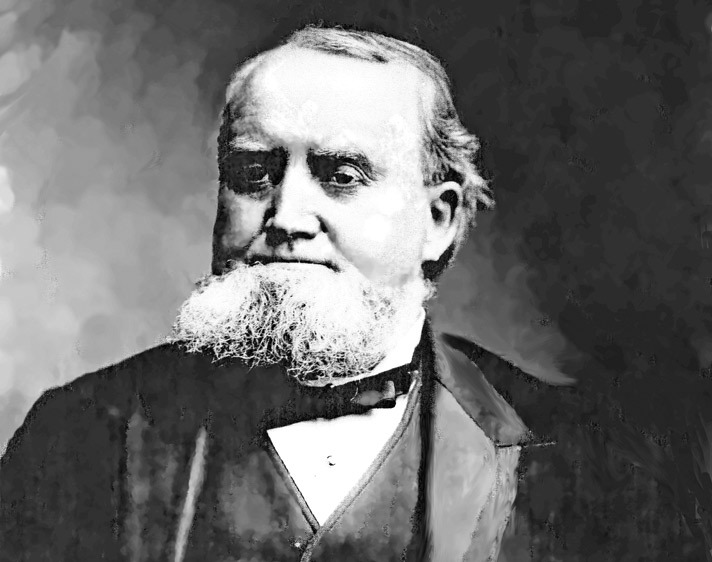 Although Cornelius Beekman may have been the wealthiest and most prominent man in pioneer Jacksonville, wealth and prominence did not guarantee popularity. 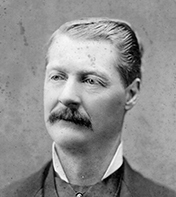 In fact, when the railroad by-passed Jacksonville in favor of Medford in the 1880s, Beekman—previously a local hero … Read more. Early in his career, after saving $3,000, Beekman looked for other investment opportunities. On one of his trips to San Francisco he sought advice from the officers at Wells Fargo. When asked if he had tried to buy Jackson County warrants, Beekman responded … Read more. Like many young men, Cornelius C. Beekman was lured west by the promise of gold. He arrived in San Francisco in the fall of 1850, an eager and fearless 22-year-old with only enough money remaining … Read more. 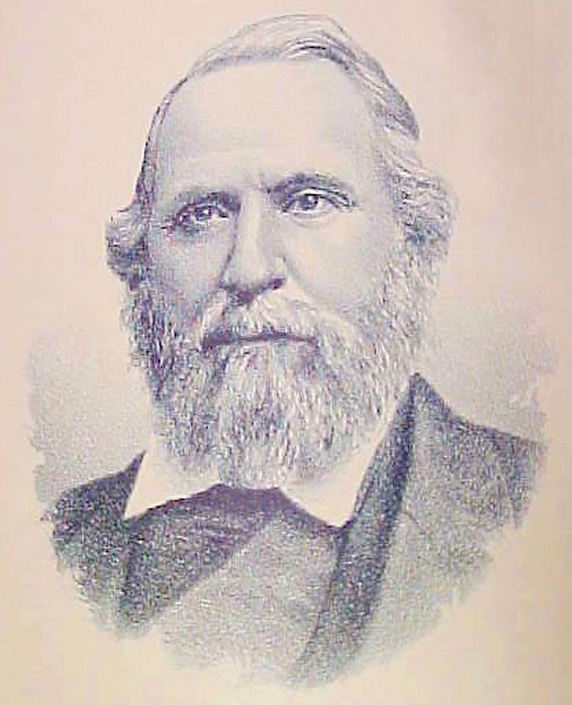 Cornelius C. Beekman was arguably the wealthiest and most prominent of the pioneers who settled Jacksonville in the mid-1800s. From relatively humble beginnings as a carpenter and express rider, he built … Read more. 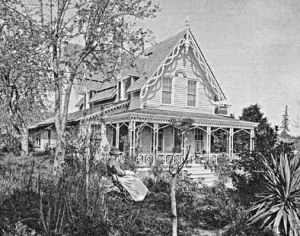 Jacksonville’s lovely 1892 Queen Anne-style home on North Oregon Street is best known as the “Nunan House,” named after its original occupants, Jeremiah and Delia Nunan (profiled in the March 2015 issue of the Jacksonville Review). But … Read more. 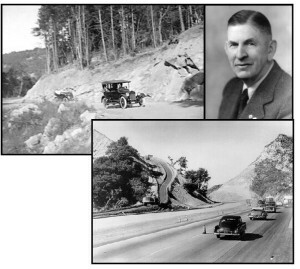 With spring and summer vacations looming, some of you will be driving over the Siskiyous to visit family and friends in California; others may be looking forward to guests making the trip in reverse. Possible weather and traffic issues aside, drivers and passengers will be experiencing the luxury … Read more. 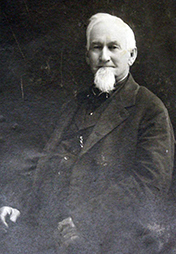 Since March 17th celebrates St. Patrick and all things Irish, it seems appropriate for this month’s Pioneer Profiles to feature Jeremiah Nunan, one of Jacksonville’s Irish pioneers. Most people associate Nunan’s name with his elaborate … Read more. 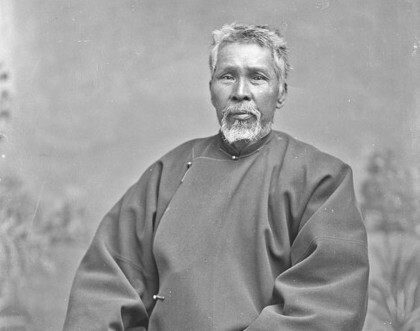 As Jacksonville celebrates Chinese New Year this month, we should not lose sight of the original “welcome” given Chinese immigrants when they first arrived in Oregon … Read more. With Oktoberfest beginning later this month, it seems an appropriate time to celebrate Southern Oregon’s pioneer community of German-speaking settlers. Although comprising only a quarter of the Rogue Valley’s population, first and second-generation immigrants … Read more. 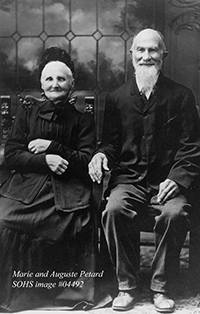 The past two Pioneer Profiles have partially explored the public persona of Peter Britt, the pioneer Swiss photographer famed for documenting Southern Oregon’s people, activities, and landscapes, and father of the region’s commercial orchard, wine, and ornamental horticulture industries … Read more. In June, Pioneer Profiles highlighted Peter Britt’s renown as photographer, artist, and documenter of pioneer life in Southern Oregon. 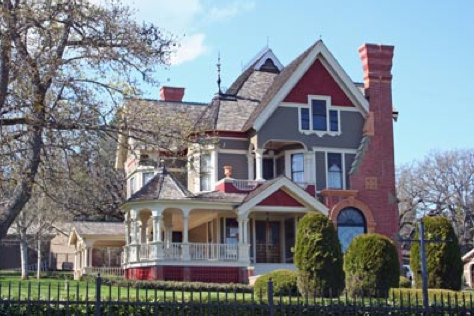 However, Britt was also an avid gardener and is considered to be the father of Southern Oregon’s commercial orchard, wine, and ornamental horticulture … Read more. It’s Britt season, so what better subject for summer’s Pioneer Profiles than Peter Britt, whose pioneer homestead is now the site of Britt Festivals, the Britt Gardens, and portions of Jacksonville’s Woodlands Trail System. 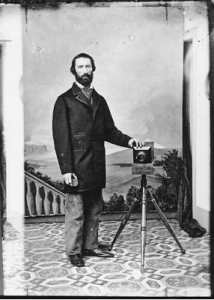 Perhaps best known as the pioneer photographer who documented Southern Oregon’s people, activities, and landscapes … Read more. As late as 1851, the Rogue Valley was still very much “the realm of Indians,” writes Stephen Dow Beckham in Requiem for a People: The Rogue Indians and the Frontiersmen. Settlements were “limited to a few hardy outposts.” … Read more. If you were to walk the streets of Jacksonville in the mid-to-late 1800s, the second most common language you would have heard would have been German. 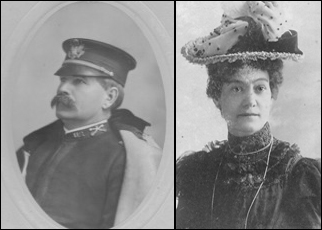 German-speaking immigrants from what is now Germany, Austria, and Switzerland made up over a fourth of Southern Oregon’s population. Henry Klippel was one such immigrant… Read more. 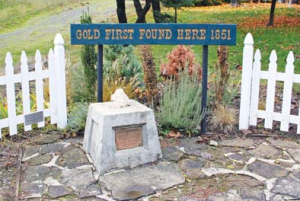 Contrary to local lore, James Clugage and James Pool did not make the initial gold discovery in Southern Oregon. 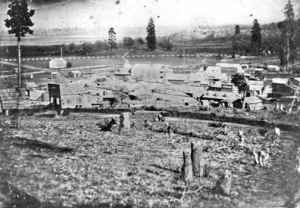 However, they may well deserve credit for triggering the Southern Oregon gold rush of 1852, and they definitely deserve credit for staking claims to what proved to be a different kind of gold mine—the donation land claims that … Read more.